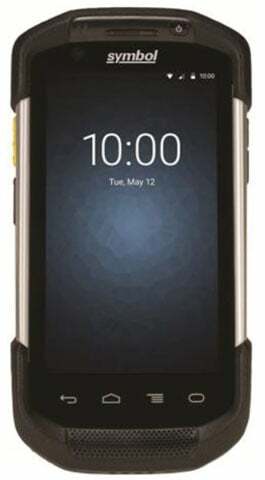 The software updates for the TC70 and TC75 provide enhancements such as an updated suite of Mobility DNA elements including StageNow, AppGallery, DataWedge, EMDK, Mx, Simulscan and PTT, introduction of Android For Work (AFW), as well as a few bug fixes. Notable changes from the most recent OS software update include the Android BT stack, the WLAN version and the scanning framework, as well as the requirement to manually enable Zebra volume control. For the GMS part numbers, Android Lollipop brings the introduction of Android For Work (AFW), with its Managed Profiles and security and management features. It should be noted that AFW issupported in “Device Only mode”, not “Multi-user mode”. Multi-user mode is supported only when the device supports Emulated storage. TC7X does not support Emulated storage, hence Multi-user mode is not supported. Also for Standard Configuration SKUs with GMS, NFC will be ON the default out-of-the-box. If a customer wants to use Android for Work (AFW)- Device Only mode, they can use NFC to configure. If a customer is not using AFW, then they will need to add another step in the staging process, by turning NFC on or off. This can be done through Zebra Mx. 5 applications have been removed from the GMS package; Books, PlayGames, PlusOne, Newstand, GooglePinyinIME. These applications are available to download from PlayStore. Enterprise persistence is supported such that a customer’s previous enterprise staging settings will persist through the software update. The first upgrade from Android KK to L will take longer than previous software updates at about 8 minutes, due to boot-up time of 7 minutes. This is due to Android Lollipop pre-optimization, whereby the Applications/Settings will be initiated on boot-up. Coverage Hole Detection (CHD): Includes enhancements to the IEEE 802.11k standard. These improvements enable Zebra Android devices to report gaps in signal coverage to the Zebra wireless LAN infrastructure. Network administrators can detect and mitigate coverage gaps present in the network for greater reliability. Aggregated Fast Transition (FT): Aggregated FT improves on IEEE 802.11r, Over-the-DS fast roaming. In conjunction with Zebra wireless LAN infrastructure, Zebra Android devices achieve more reliable and consistent fast roaming.